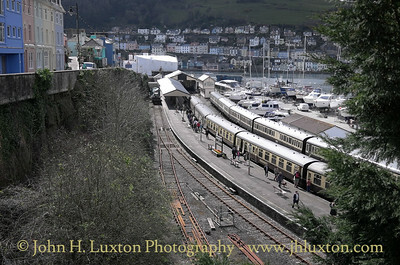 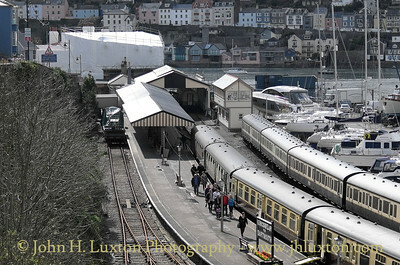 The railway line between Paignton and Kingswear (for Dartmouth) has been operated by the Dart Valley Railway plc since January 1973. 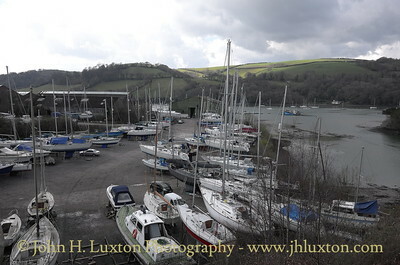 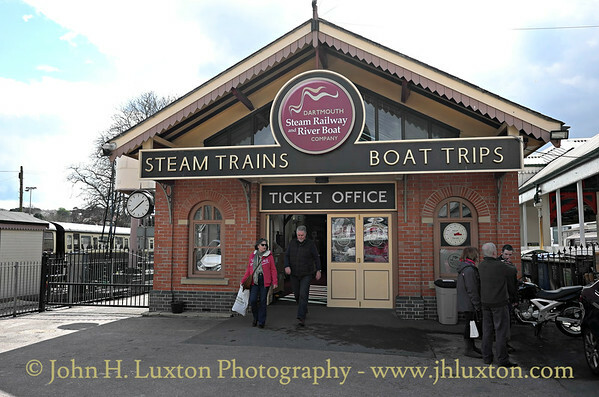 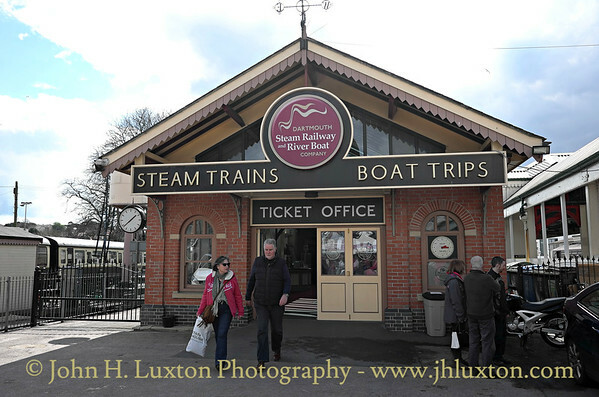 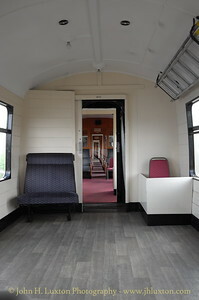 Over the years it has traded under different names and currently trades as the Dartmouth Steam Railway and Riverboat Company. 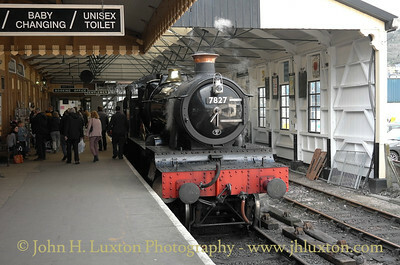 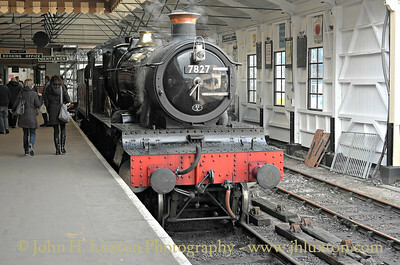 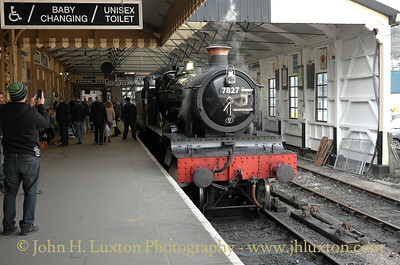 Great Western Railway Manor Class LYDHAM MANOR 7827 in early British Railways black livery at Kingswear Station. 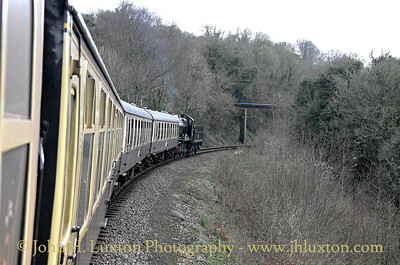 The driver of LYDHAM MANOR chasing a family including a young child who had been using the railway line as a footpath! 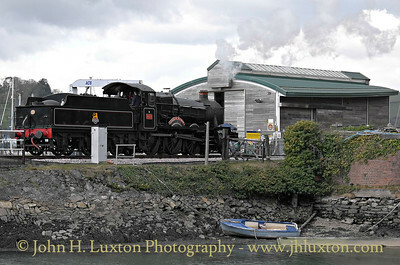 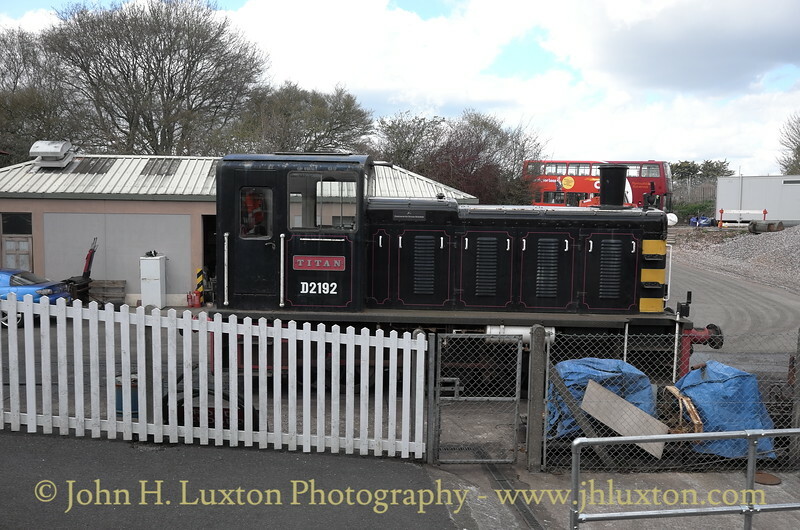 LYDHAM MANOR stopped at Noss on the 14:15 train from Paignton to Kingswear. 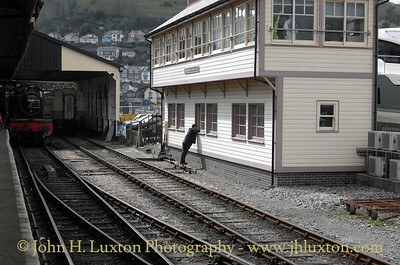 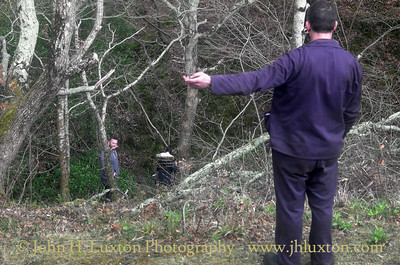 The train had stopped whilst the driver chased a family of trespassers who had been walking along the line! 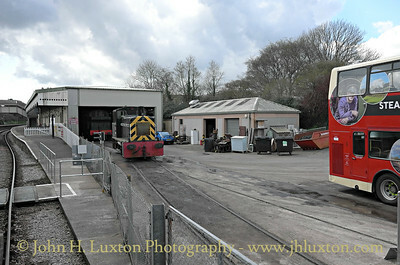 The train did not start moving again until the offenders were well away from the railway. 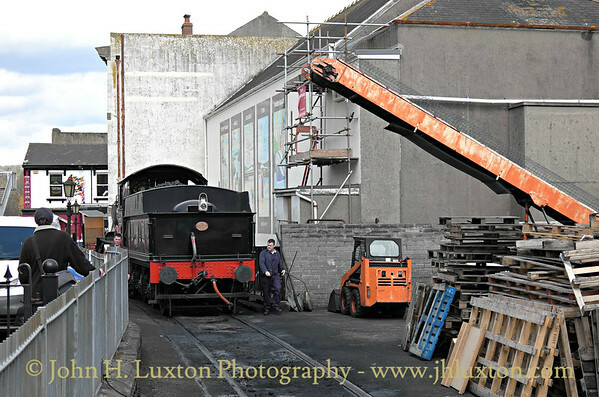 Noss Works of Philip and Sons viewed from the train. 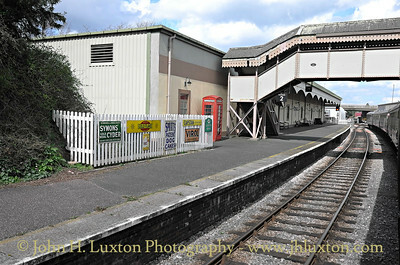 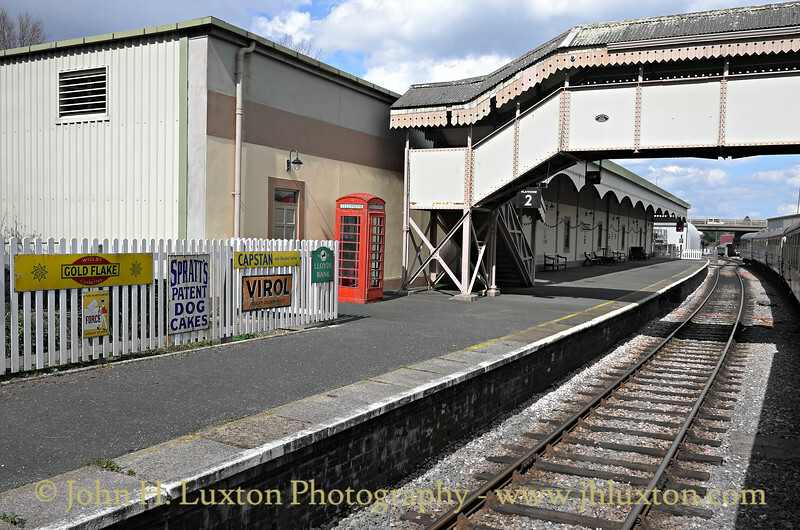 Churston For Brixham was once a junction for the short Brixham Branch which closed some years prior to the railway being transferred from BR to DVR ownership. 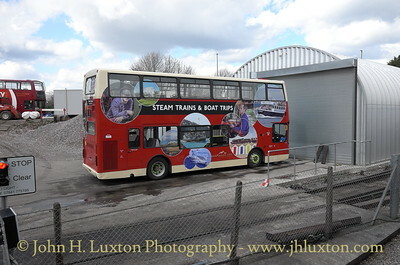 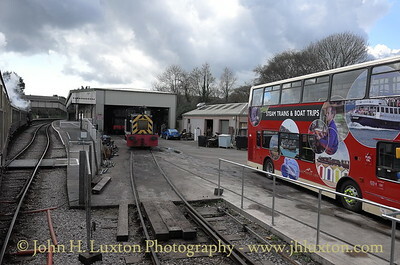 Churston Depot which also houses the company's buses. 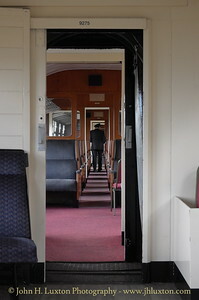 Conductor on his way through the train. 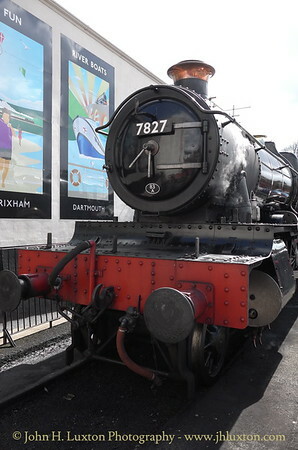 Great Western Railway Manor Class LYDHAM MANOR 7827 in early British Railways black livery at Paignton Queens Park Station. 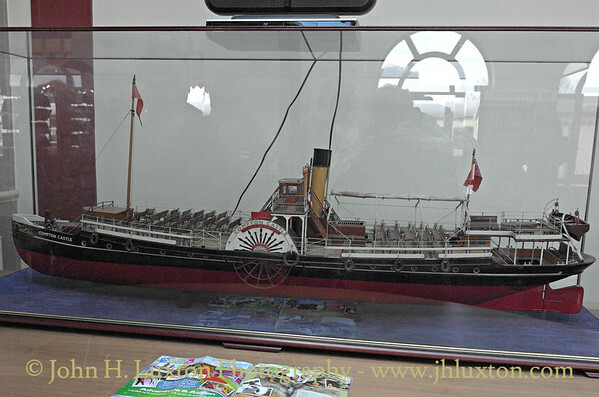 Model of PS COMPTON CASTLE displayed in the booking office at Paignton Queens Park Station. 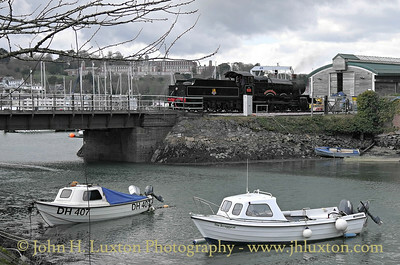 The company operates the sister ship PS KINGSWEAR CASTLE under charter from the Paddle Steamer Preservation Society.